The MIVA Tournament continues on Wednesday with the semifinals. Check out the quick-hit information and historical stats to know about both of these match-ups. Stats to know: A No. 1 seed has not lost in the MIVA Tournament semifinals since Loyola in 2005. Lewis is undefeated all-time in home matches against McKendree but this will be the first postseason meeting between the two teams. Home teams are 16-2 in the semifinals since 2010 when MIVA changed its format to give home court advantage in the conference tournament semifinals to the top two-remaining seeds. The Flyers were involved in both those road upsets. Lewis upset Loyola in 2016 and then a year later at home lost to Grand Canyon in the semifinals. McKendree is attempting to become the first No. 4 seed or lower since 2006 to advance to the MIVA Tournament finals. Stats to know: Loyola is on a 15-match winning streak against Purdue Fort Wayne dating back to 2013, including a victory versus the Mastodons in the 2014 MIVA Tournament semifinals. In addition, Purdue Fort Wayne last beat Loyola at Gentile Arena during the 2012 regular season. The Ramblers are 7-2 all-time in home matches during the MIVA Tournament semifinals. 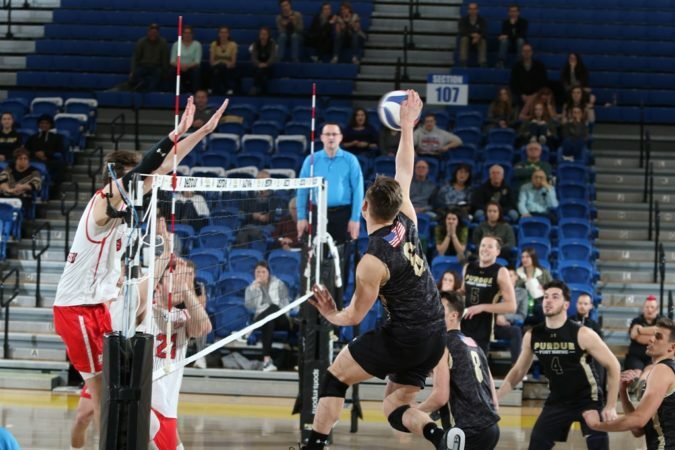 Purdue Fort Wayne has not reached the MIVA Tournament finals since winning its last conference title in 2007. All-MIVA outside attacker Pelegrin Vargas, though, has 86 combined kills in five career matches against Loyola highlighted by a match-high 21 kills on a .378 attack percentage in the most recent meeting.